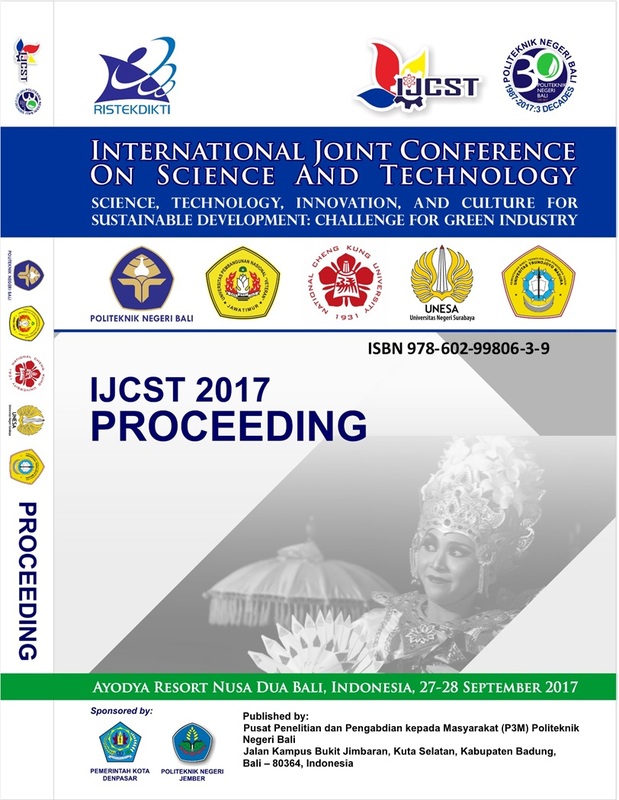 This Proceeding papers have been reviewed by established peer reviewers and already presented orally in the conference of “The 2nd International Joint Conference on Science and technology (IJCST) 2017. Supporting by Ministry of Research, Technology and Higher Education – Indonesian Government, this publication will can dedicate a positive contribution to science and technology development. Hosted by Bali State Polytechnic (PNB) and other established university partner including UPNV Jatim, FMIPA-UNISA, FISH-UNESA, and UTM, this conference has been attended by more than four hundreds participants who present their best research results.